“Too many people spend money they haven’t earned, to buy things they don’t want, to impress people they don’t like.” –Will Smith. In a recent survey by The Guardian, one in five Americans with insurance still struggle to pay up their medical bills. Why is it so? Have you ever thought why do they charge us so much for a transcription when it’s just a listening and writing exercise? It is evident that time is the need for every individual and henceforth they care less about the money spent on transcription. The expenditure is of mere concern but the reason behind that expenditure matters the most. It is the right of every individual to be aware of how everything works around transcription and the charting of their expenditure for the same. There is a huge amount of cash spent for transcription in diverse industrial fields. It can be medical, educational, professional interviews and many more. Transcription, to be more precise is a defined as a business which converts speech (either live or recorded) into a written or electronic text document. 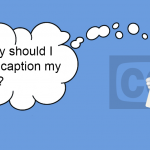 When an individual sends a digital file for transcription the next question that rises in their mind is how much does it cost? A lot of care is taken in transcribing a file and every individual has the rights to know why they spend so much on a transcription. They spend a huge amount of cash for transcription depending on their emergency and needs, they would be ready to spend any amount of money irrespective of the cost but why have they failed to see why does it cost so much?What do they do? Here is the answer to your questions…Every file received for transcription is being priced according to the category it falls under and the turnaround time that the client puts forth. The categorization and turnaround time go hand in hand when it comes to transcribing a digital file of any form. The transcription process begins once an audio or video file is received; it’s then been CATEGORIZED based on certain factors that determine it. 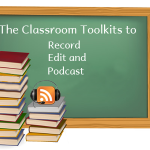 Segregation of the audio files into different sections is called as CATEGORY. Every client is entitled to pay for a transcription based on the category of files that they submit. The expenditure for a transcription accounts on every suggestion the client makes and needs. Clear audio without any background sounds. Audio recorded with the help of a proper device in a professional manner. Clear accent with good pronunciations. Audios falling under this category are mostly less costly and fit our pockets. The pricing for category A starts from$1 to $3 (Per minute) depending on the turnaround time requested by the client. Audios with background noises, and disturbances. Court Recording/ GD/ Telephone recording/ open air recording. Recording done unprofessionally with a low quality recorder. The pricing for this category begins from $1.5 to $4.5(Per minute) depending again on the turnaround time requested by the client. Heavy background noises which interrupt the speech. Recording done in an inappropriate manner. As it is the hardest transcription category, the pricing for this category ranges from $2 to $6 (Per minute) and as always depending on the turnaround time requested by the client. Normal TAT : Transcribed and delivered within 24-48 hours, cost varies based on the category it falls under starting from $1 to $3(Per minute). Rush TAT : Transcribed and delivered within 12-24 hours, its double the cost than the normal TAT as it requires a lot of effort from the transcriptionist.The clients who request a rush TAT are charged from $2 to $4(Per minute) based on the category. Super rush TAT : Transcribed and delivered within 2-12hours, it’s thrice the cost of the normal TAT. 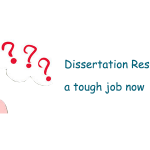 A super rush TAT is most convenient for university students with short deadlines, researchers of varied fields of professions and many personals who are in dire need of transcription in the shortest period of time. Since it’s done in the shortest time requested its pricing starts from$3 to$6(Per minute) depending upon the category that the transcription file belongs too. Following the turnaround time, the next factor that accounts for costing in transcription is to segregate the number of speakers involved in the conversation or discussion. 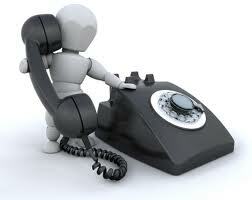 The audio or video file received is cross checked for the NUMBER OF SPEAKERS available in the file to be transcribed. The files are charged based on the number of speakers in the conversation. The charges start from one to one speaker, like an interview and extend to multiple speakers. The rates vary from $1 to $1.25(Per minute) depending on the number of speakers present in the conversation. 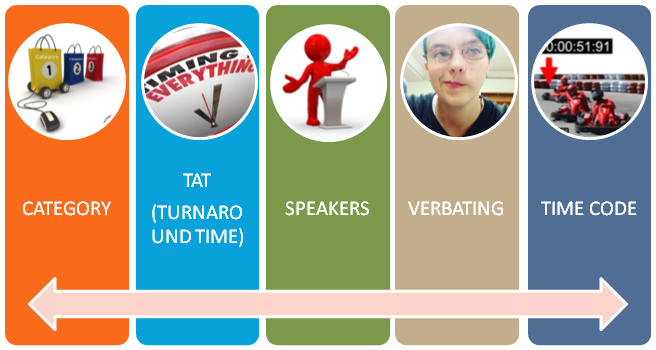 This helps to identify the speakers and name them or recognise them during conferences, meetings, over lapping voices and so on for better understanding. It is the responsibility of the transcriptionist to identify the speaker to avoid confusions in future. The speaker’s first name can be used (if mentioned) or a title can be used if they are being addressed by a title too. For example: Dr. Judelyn, Rev. Belinda, and many more. The next factor that contributes to a transcription cost is VERBATIM. Verbatim is too repeat something you’ve read or heard precisely word-for-word. Transcribing a Verbatim transcription is said to be an art form as it requires a lot of commitment and involvement to carry out the same. Verbatim is done with the flow of the transcription and is being charged only when the client specifically requests for it. The verbatim transcriptions are chargeable based on the client’s requirement. When the client requires a detailed version of their transcript they request for a verbatim transcript that explains everything in detail even the pauses in every conversation. Interviewer: Did you ever correspond with him at the time? Interviewee: [Silence] No… er… I don’t recall that. I think… Um… I think I have some letters from him in my file though… [Pause] which came some months…years later. The final process that constituents to a transcription cost is TIME CODE. A time code is done based on the requirements of the clients on the whole. DVDs or digital video files with a visible time code burn (BITC). Audio files with audible SMPTE LTC time code. Mp3s with Sound Devices id3 metadata time code information. By recording a clear audio. Record an audio with a native speaker of English to avoid accent. Subject matter of the content should try to be made more precise and crisp inspite of the technical language it consists of. Editing and proof reading can be done if in dire need only so that the client can avoid additional charges. Every transcription is carried out based on the industry it hales from. Moreover a transcription can be done more cheaper when the length of the audio is short, the turnaround time requested by the client is considerable, the number of speaker are limited and only the needed ones are recorded accordingly, and sticking to one transcription style. However all the fingers are not the same everyone have their own requirements and needs in transcription and their needs become ours in the long run. Every transcriptionist not only serves as builders of bridges in communication but also as agents of service for the people who need us. Your successful transcription paves a way for our inspiration…. Transcription has got a make-over ! 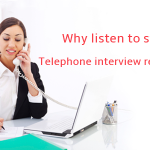 We will show you how to record perfect telephone interviews!